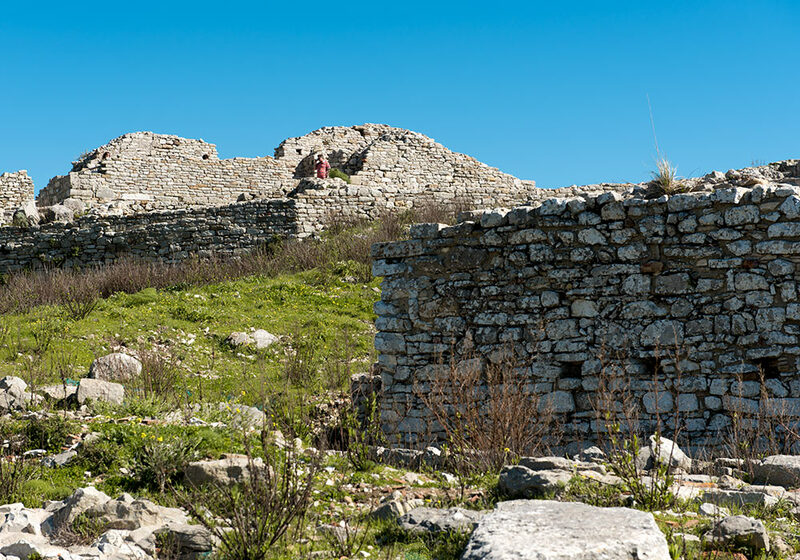 Segesta (Sicilian: Siggésta) was one of the major cities of the Elymian people (the other were Eryx and Entella). It was destroyed by Agathocles in 307 BC, but recovered. 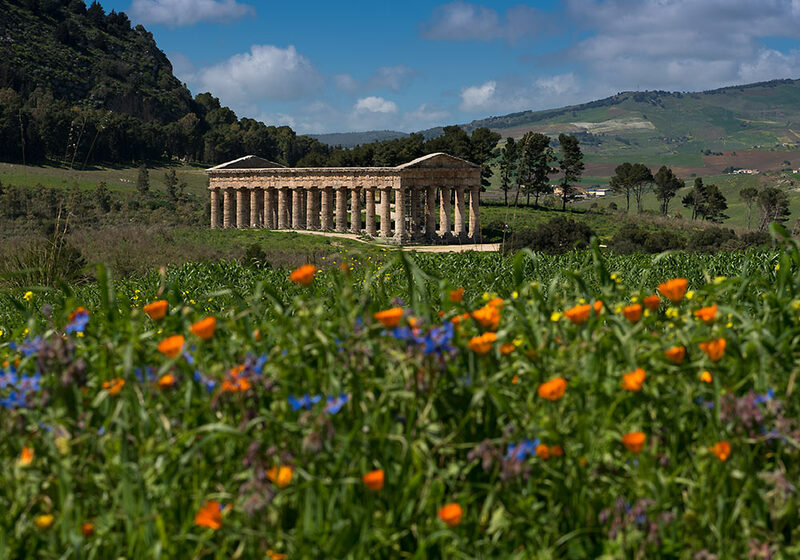 The temple at Segesta was probably never finished. The beautiful temple is situated 304m above sea level. Right behind it is a deep ravine formed by the Pispisa torrent. 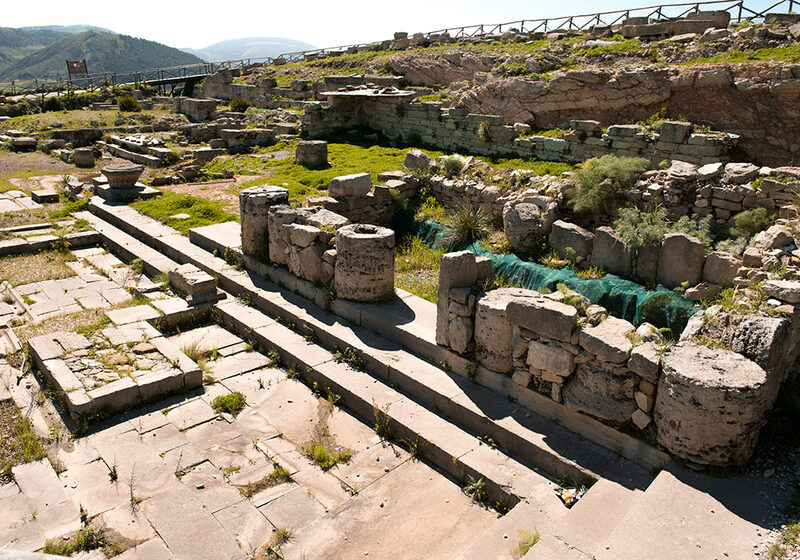 In 414BC hostilities flared up between Segesta and Selinus (Selinunte). 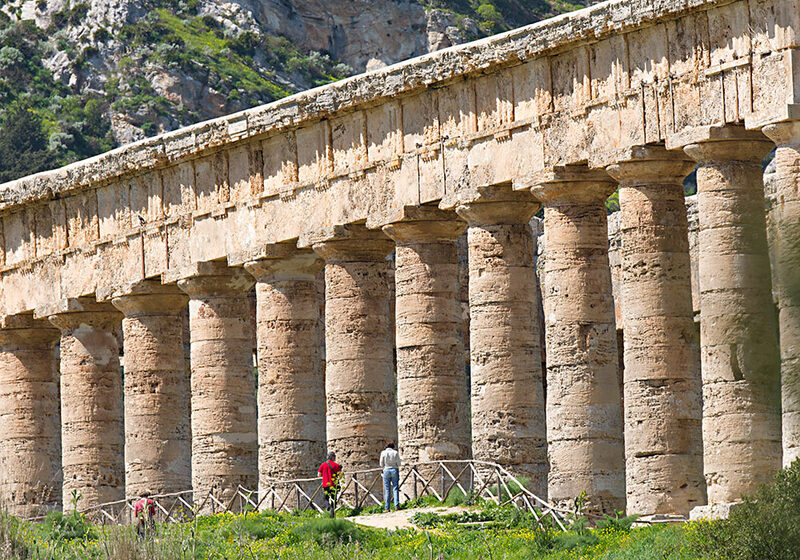 Since Segesta didn't get any help from Akragas (Agrigento), they went to to Athens during the winter 416/415 to beg for help. Athens had for a long time had ambitions in Sicily, and now saw an opportunity to help their allies and even add new conquests to their empire. After a series of problems during the preparations, the fleet finally left for Sicily. The Athenian expedition in Sicily (415-413 BC) was a complete disaster for Greece. 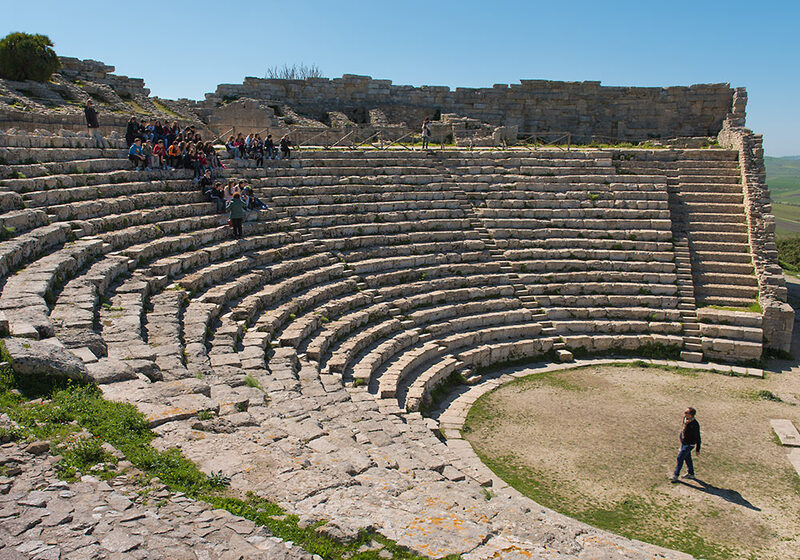 Later Segesta asked Carthage for help, leading to the total destruction of the city of Selinus (Selinunte) by the hands of Carthage. 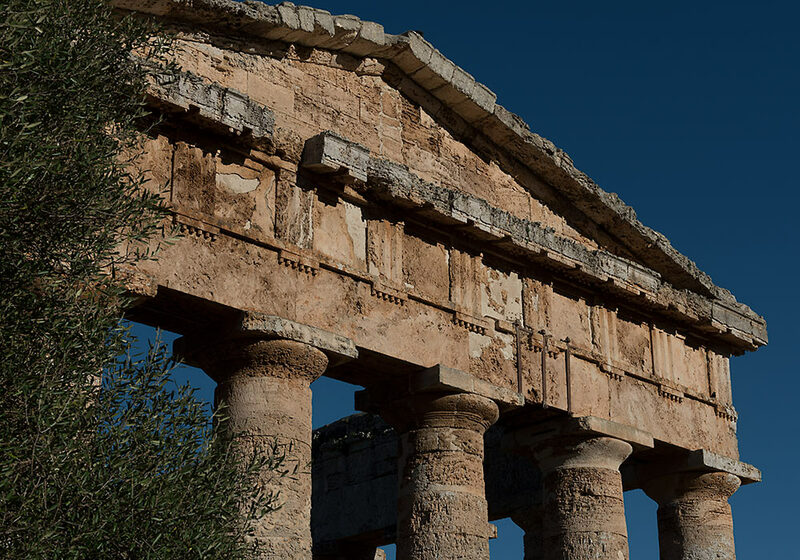 Segesta remained an ally of Carthage, it was besieged by Dionysius of Syracuse in 397 BC, and it was destroyed by Agathocles in 307 BC, but recovered. 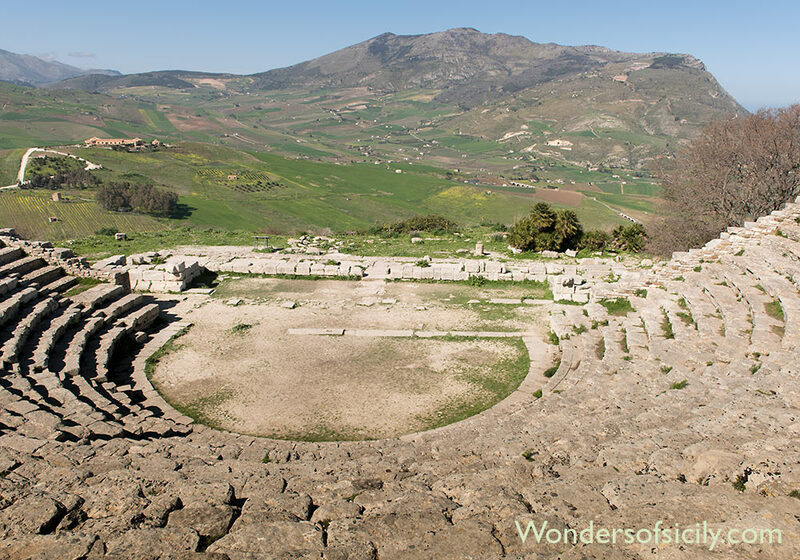 The view from the theatre at Segesta is spectacular. 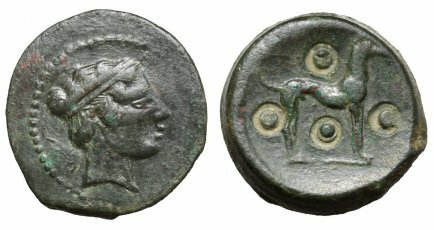 Coin from Segesta, circa 420 BC. 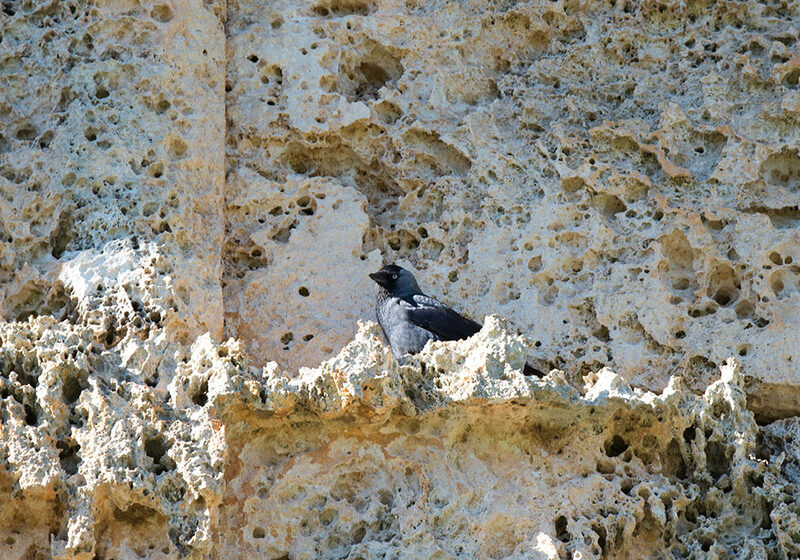 Description: Sicily, Segesta Æ Trias. Circa 420 BC. Head of the nymph Segesta right, wearing hair-band / Hound standing right with tail curved upwards; around, four pellets. CNS 2; SNG Copenhagen 586; SNG ANS 655-657. 7.54g, 17mm, 4h. Very Fine. Very Rare. From the Eckenheimer collection. 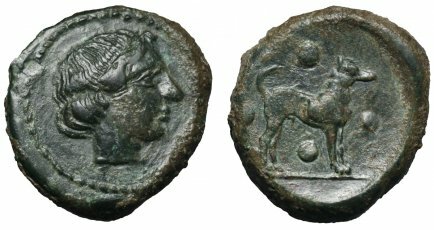 Coin from Segesta, circa 410-400 BC. 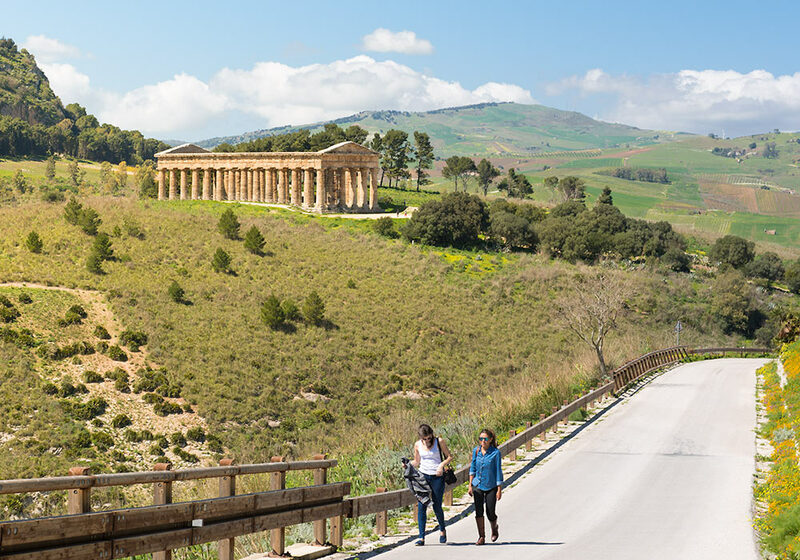 Description: Sicily, Segesta Æ Trias. 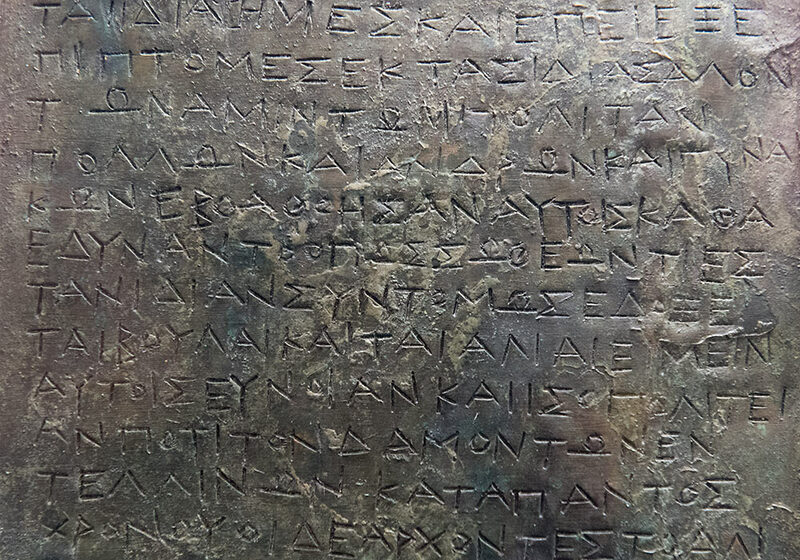 Circa 410-400 BC. Head of the Nymph Segesta to right / Hound standing to right; four pellets within incuse circles around. Hurter, Segesta p.141ff, pl. 29, 7; CNS I p. 296 17. 4.15g, 21mm, 3h. Very Fine. Rare. From the Eckenheimer collection. 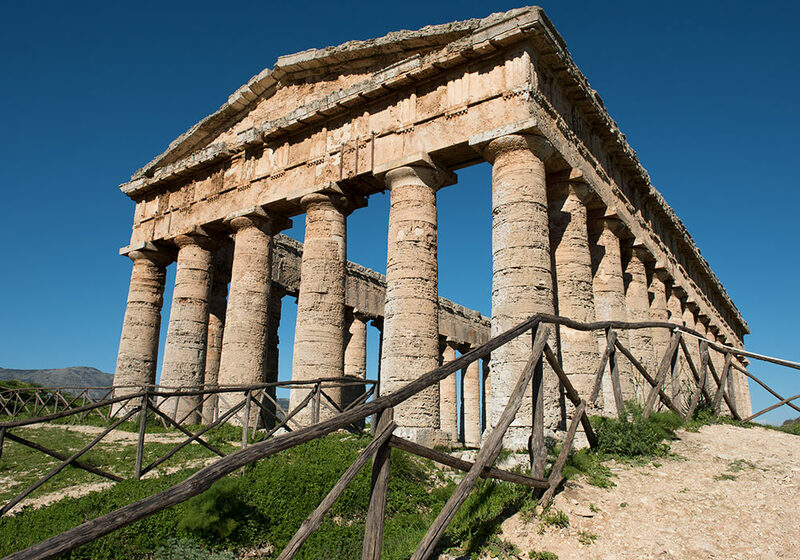 The ancient temple at Segesta. The ruins and the location is overwhelmingly beautiful. 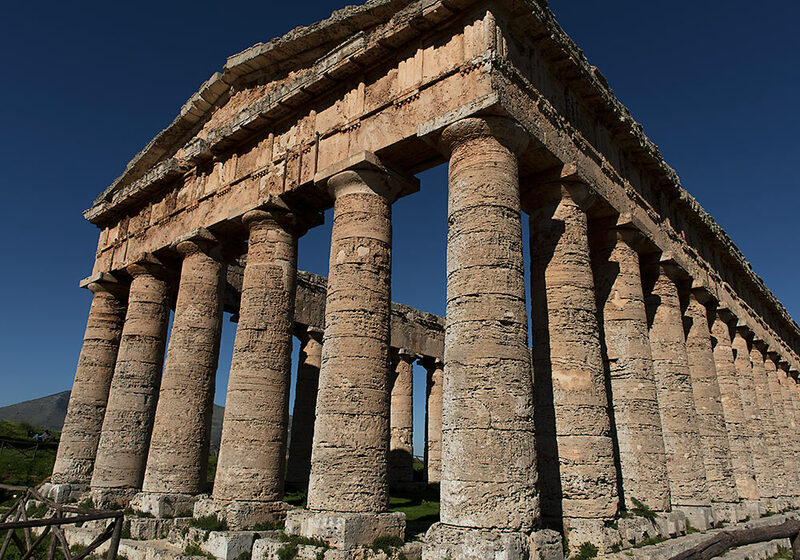 The ancient temple at Segesta. The ladies have started the 20-25 minutes walk up to the theatre. There's a bus service you can use if you like. 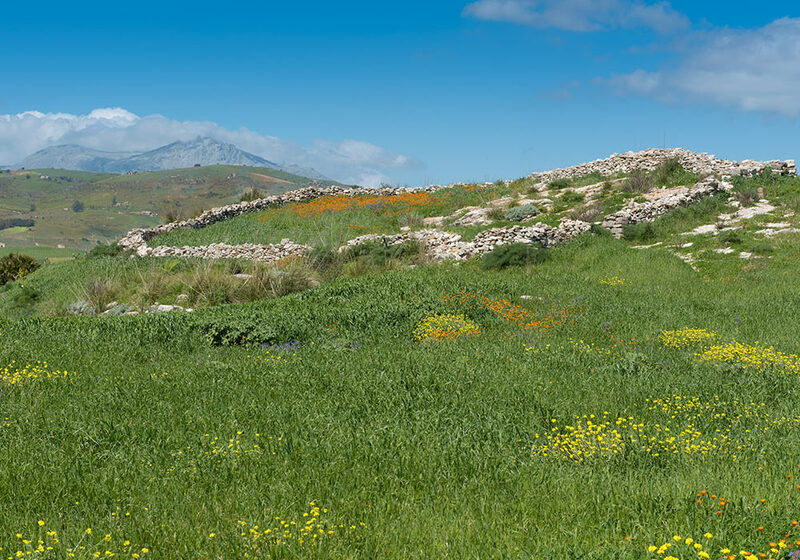 CLICK HERE to see photos from Selinunte! 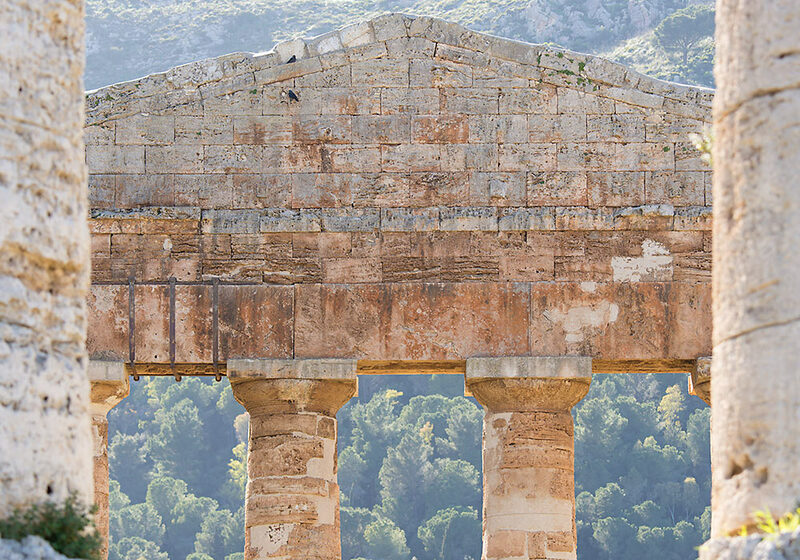 The doric temple at Segesta is remarkably well preserved. If you choose to walk up to the theatre, you get several rewarding views of the temple, especially if you leave the road. 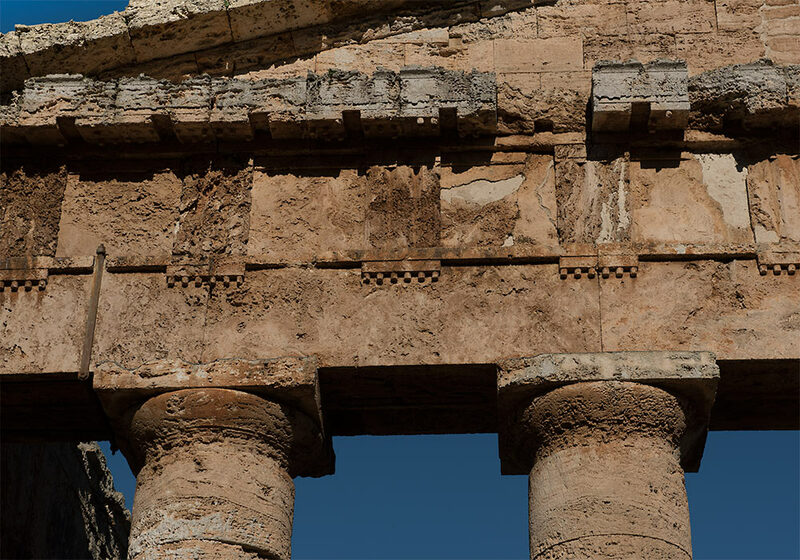 Staggering detail of the Doric Temple at Segesta. The agora of the Hellenistic city later became the Forum of the Roman city. The area fell to ruins in the third century AD, but was inhabited during the medieval period. Remains of a past settlement. 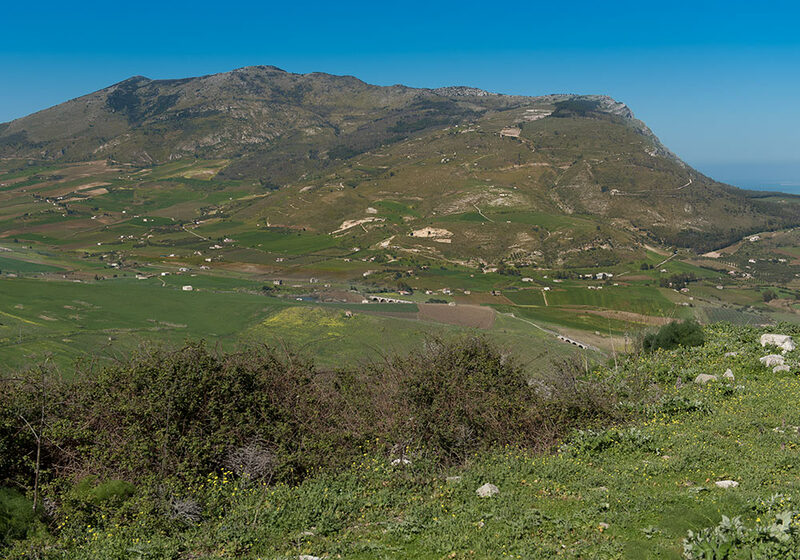 The view from Segesta is breathtaking. CLICK HERE to see photos from Solunto! 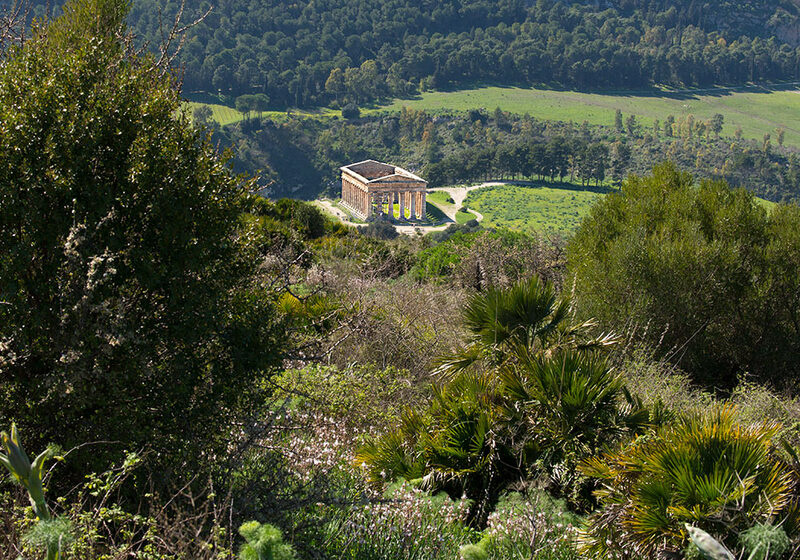 Segesta seen from the raven's point of view. 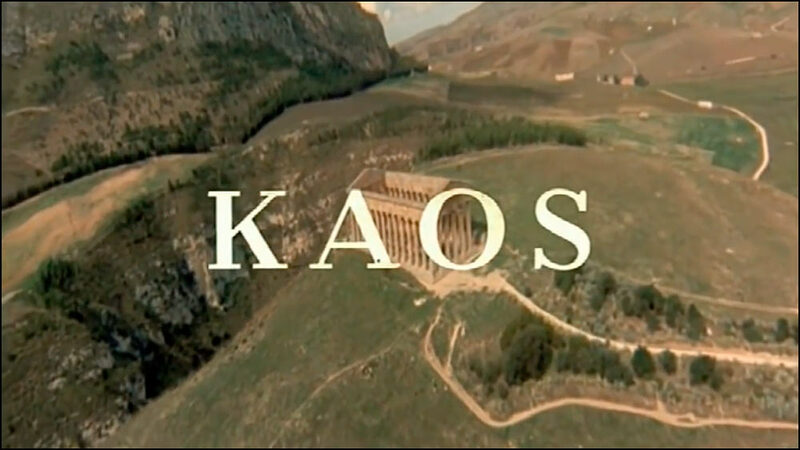 Screenshot from the opening sequence of Kaos (directed by Paolo and Vittorio Taviani). The film is based on four short stories by Luigi Pirandello. 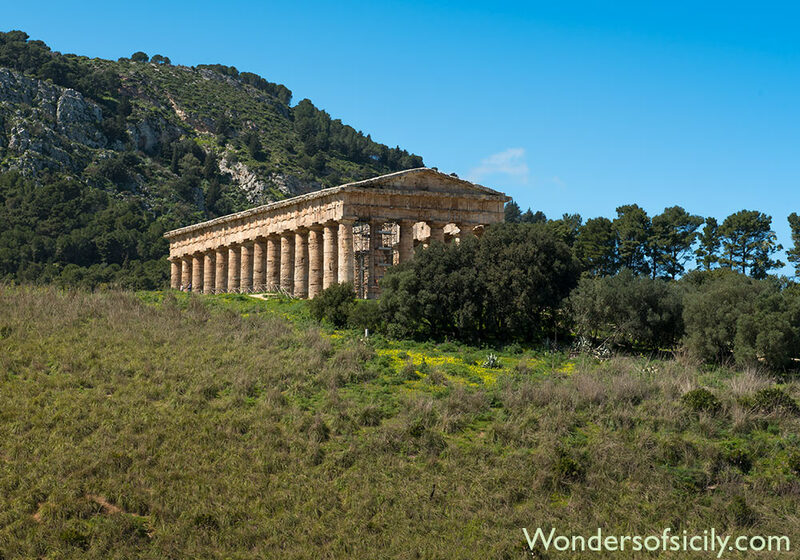 CLICK HERE for more film locations in Sicily! 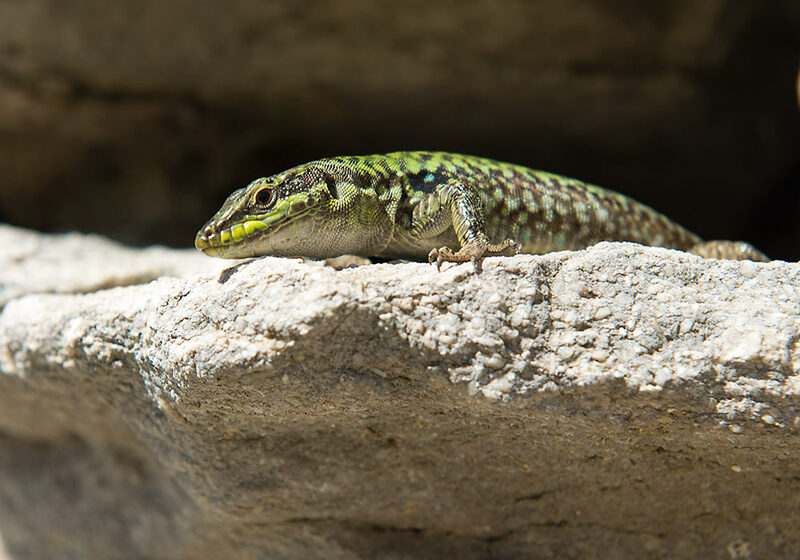 Lizard living at the ancient theatre in Segesta.